I know I don't post much, but I have become a lurker. Just a lot going on, and no time for anything, it seems like. I'll do a news update when I have some, but meantime, something came up that I thought you all might be interested in regarding food and health. 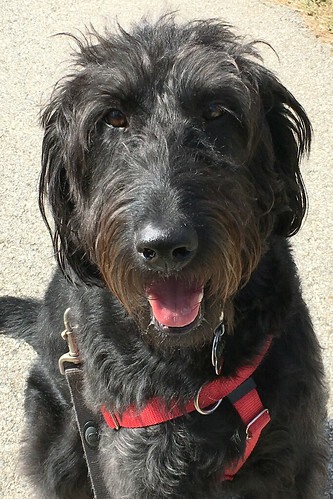 "The most current research shows that some dogs fed a grain free diet may develop a life-threatening heart condition called dilated cardiomyopathy (DCM). At this time, it's unknown why some dogs fed a grain free diet may develop DCM. There is speculation that certain grain free foods may lack taurine, an essential amino acid necessary for the heart muscle to pump effectively." She goes on to say that researchers at Cornell and Davis vet schools are scrambling to figure this out. She described DCM to me at our appointment as a flabby heart that can't pump properly, while warning me that's an over-simplification. She really only recommends 4 brands of dog food because they have actual vets contributing to their nutritional formulas. She also says that dogs are not carnivores but omnivores who, except in cases of allergy or specific sensitivity, have no problems digesting grain in the form they get it in dog food. She changed Max to a meat and rice diet because he's been having a few GI tract issues lately. So far, the change hasn't made any difference; but we'll be patient for a couple of weeks before we discuss it farther with her. Anyway, I thought that might interest you. And just for fun, here's a picture of Max on our walk in the park today. so that the change-over wouldn't be sudden. Max is currently getting about half and half, but will be altogether on the ProPaln by next month, according to the vet's instructions. He just lost his Goldendoodle who lived well for 14 years on Purina ProPlan. We haven’t tried it yet but it’s next up for our Marley.